A pretty cool opening story. Though it probably should have been a three-parter. It's a bit rushed. 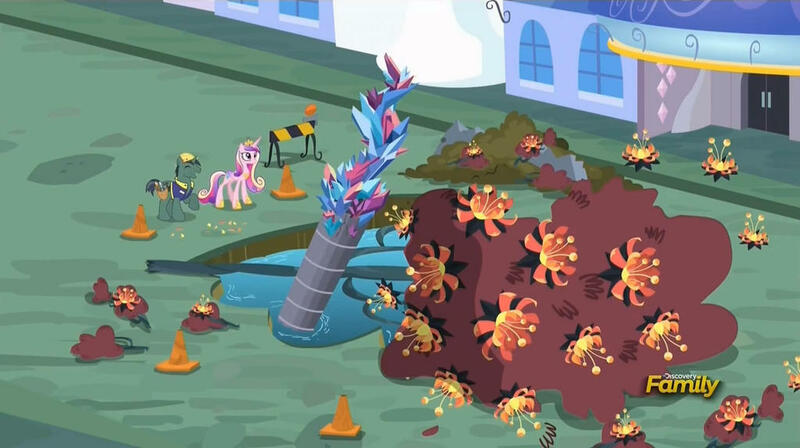 Starlight Glimmer created a neat little dystopia. I don't think it's communist or directly related to 1984, as I've heard many bronies claim. 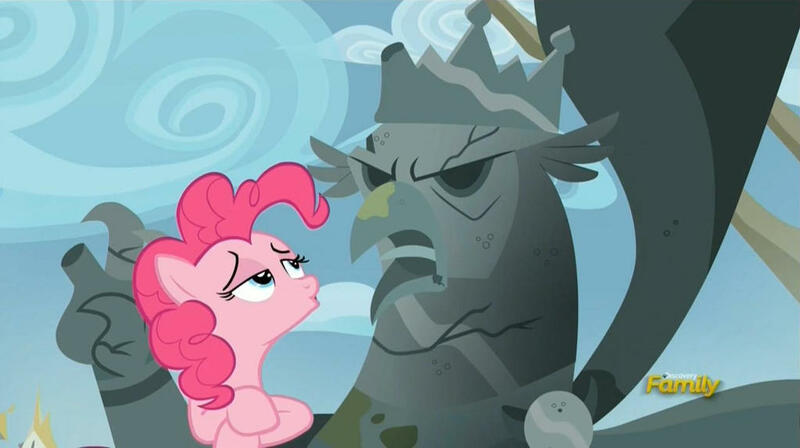 Perhaps it was inspired by 1984, or perhaps a writer just wondered "what happens if ponies lose their cutie marks?" Communists make sure everyone's equally poor and busy with either work or various community projects, while believing they live in the best country in the world. They love having talented people on board - great athletes, scientists, artists - as long as whatever they create fits the ideology. All their achievements are attributed to the communist regime, of course. So no, Starlight Glimmer is not a communist. As for 1984, that could have been the inspiration, but that's about it. I have actually read it and I think the difference in scale is too great to claim any real resemblance - Oceania from 1984 is a massive world power that takes up a third of the planet and has an infinitely complex and utterly insane government system. 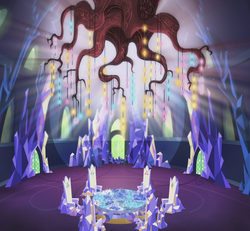 The Equalist village is a village with one Starlight Glimmer at work. Also, in 1984 not much was said about limiting people's talents - the state played rather subtle mind games with them. The party members were technically free to do what they wanted, but at the same time knew they'd be chased down by the thought police for walking the wrong streets or talking to the wrong people. Though is probably as close to the Ministry of Love as the show can get away with. Definitely a filler, but it was sweet that the old library wasn't forgotten. I quite liked the root chandelier. I was actually afraid the castle would get a permanent and tacky makeover, but everything worked out just fine. There was a couple of good jokes, Twilight's alternative hairstyle made many people happy. 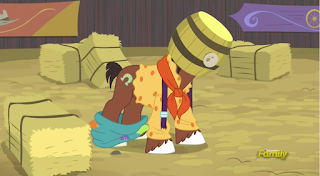 I had just one problem with this episode - one of the spa ponies spoke without the accent. Compare it to a rotting corpse if you wish, but you have to admit, it really ties the room together. I like both Luna and the CMC, so I really enjoyed this one. Excellent humour, fun new creatures - the Twittermites. I wish Babs had a different cutie mark though - the scissors look kind of odd. I don't know where the derpy dolphin came from, but I approve. It was just a matter of time before we had a "dealing with death" episode. The only thing is, Tank will wake up... Either way, wasn't too psyched about the story, but the jokes were fun. Is it strange that I mostly feel sorry for the damaged factory and its workers? I liked the detective story vibe here. Trouble Shoes himself was interesting - it isn't often that you see a pony resembling a realistic horse. But the moral of the story was kind of... unrealistic? "You know how your life is nothing but torture, suffering and embarrassment? Well, that's okay. This is your special talent! People love laughing at you! Doesn't that make you happy?" Yeah... that somehow doesn't work for me. Can't you tell? He's really loving his life right now. It's a fun little episode. How they got away with using Tree Hugger I'll never know. Jealous Discord is pretty funny. 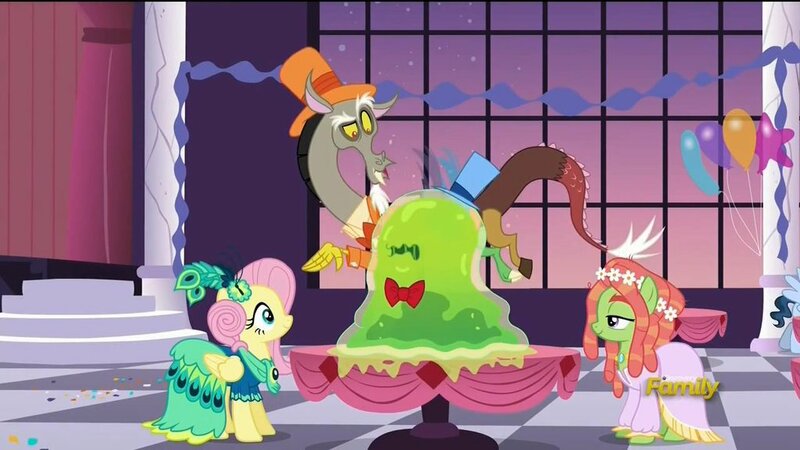 This is worth watching just for Smoze the slime monster attending a high society party. As you can see, the Grand Galloping Gala is an exclusive formal event. Episodes about new lands are always exciting. Didn't expect Griffonstone to be a dump. Was kind of hoping the treasure would be returned and the city would magically transform into something inspiring. But oh well. It was a metaphor. And if not, we'll never know. Either way, the visuals that came with the legend were cool. New monsters are always a welcome addition. The monster's skeleton looked cool. Seeing Gilda again was nice, though I wasn't convinced by how completely she reformed by the very end. At least Pinkie enjoyed her stay. Awesome. The only problem I have with it is that I'm tempted to show it to non-brony friends and I have no idea where to begin explaining all these fanon things. Also, I'd really love to see children reacting to this one. I wonder if they liked it or just found it confusing. 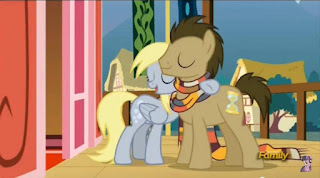 I also liked the way they portrayed a certain grey pegasus. An alright filler. The jokes were pretty funny. Sure, leave Spike in charge. What could go wrong? I enjoy seeing new creatures from different lands and the yaks were no exception. I like that they were absolutely crazy. 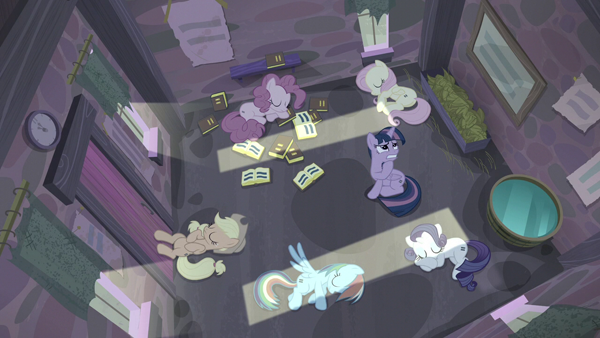 And I enjoyed seeing Pinkie's secret party planning room. "Remind me again why we're trying to befriend these guys..."
I really liked that Moondancer's party, which Twilight missed in the very first episode of the series, was brought up again. It's an fun episode. But I'm not sure how I feel about Moondancer being a re-coloured Twilight. Now there's a though - what if Moondancer was Twilight's science project. Either cloning or mirror magic. Perfect! Action-packed and well-paced. This episode felt like a two-parter, though didn't feel rushed. If you haven't seen it, just go watch it. I don't know about you, but I love surreal dream scenes like this one.